FullClear is raising £250,000 investment on Crowdcube. Capital At Risk. FullClear is a proven beer line cleaning solution, replacing toxic and corrosive chemicals. FullClear aim to establish a new standard of excellence in dispense. Contracted with Hilton, Admiral Taverns & Tokyo Industries, the company is raising funds to expand its operation. Information The company had £50,000 of its SEIS allowance remaining at the start of this raise. This will be allocated to investors on a first come first served basis. Any investments made after that limit has been exceeded will not be SEIS eligible but will potentially be eligible for EIS. The potential tax relief of any investment will be confirmed by email to investors, after they have submitted their applications to invest, and will depend on an investor's individual circumstances. FullClear is an advanced beer line cleaning solution. It is non-toxic and non-corrosive. It is proven to be 96.7% more effective than current chemicals. Our experience has taught us that bars clean weekly, wasting the beer in the lines each time, using ineffective, toxic and corrosive chemicals which damage the system. In some cases, poisoning and seriously injuring customers - http://www.bbc.co.uk/news/uk-england-leeds-35253155. Line cleaning is unregulated and is estimated to cost the industry almost £1 billion in labour, wastage, and lost sales. FullClear aims to return £700 million of this back to retail opportunity for the industry. FullClear is a proven monthly beer line cleaner delivering up to 75% savings. FullClear optimises beer quality and achieves the very highest health, safety and environmental standards. FullClear is contracted to supply Hilton Hotels, Jones Group, Tokyo Industries and supplies Admiral Taverns, Hawthorn Leisure and other leading pub groups. FullClear has a deal with Vianet PLC. A global leader in beer monitoring and waste management systems, providing access to up to 14,500 potential customers. 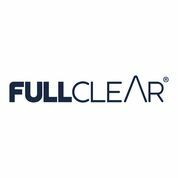 FullClear now wants to invest in the people, IT platform and partnership integration work needed to engage, educate and ensure the successful onboarding of FullClear across key accounts and the company’s deal-flow. To see the rest of the FullClear pitch, join now. Join to read more information about the FullClear team, documents, and what other investors are saying about the pitch.